We received a call from one of our loyal customers in Gambrills reporting that their garage door would not close all the way. Unless you can physically see an item blocking your garage door, and you safely remove it, we always recommend contacting a professional for an evaluation. 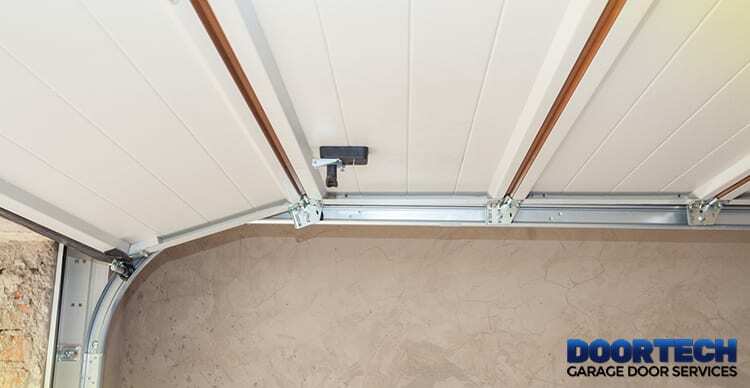 Many times, while it seems harmless, if you try to assess or address unseen issues with your garage door system, you could create a dangerous situation. Upon careful inspection, we discovered a need for garage door roller replacement in Gambrills Maryland. Here is a rundown of the service call. Our service technician reported checking three vital components for these homeowners: the close-limit switch, the safety sensor, and the rollers. Unless there is an obvious source, we always start with the simplest, easiest to address scenarios. Your garage door has these switches that, simply put, instruct the motor when to stop running, both in opening and closing. If the switch is set wrong, it prevents the door from closing all the way. The technician first inspected this item. He reported that it was set accordingly. So, he moved on to the next possibility. Near the bottom of the garage door tracks are electronic eyes that require a clear line of view connection between them. When something obstructs the view, or if the sensors are tilted the sightlines become misaligned and the door fails to close all the way. This is a safety feature to prevent serious injury, especially to children. In most cases, if the sensors are off the door reverses right away, and the lights flash. The technician reported that the sensors were ok and in good working order. Once he evaluated the more straightforward reasons, the technician moved on to the more complicated issues. He inspected the rails for damage, such as denting, misalignment or rust. At once he noticed the damaged rollers. They showed excessive wear, which interfered with the garage door operation. At once he set to replace all of the rollers. The manufacturer recommends changing all at once. That way, they all have the opportunity to wear at the same rate. He also lubricated all moving parts. If your garage door is not operating correctly, like this garage door roller replacement in Gambrills Maryland, contact Door Tech. You can trust our service technicians will provide a thorough inspection and only replace the part that is causing the issue. We never try to have a homeowner replace unnecessary parts. Our team has your safety and your budget in mind. Schedule your inspection today.